South Africa, Cape Town, February 2011; THE super-chic Wembley MediSpa has launched its new website and the array of non-surgical medical treatments, augmented by traditional spa pampering, is as impressive as their results, with many patented procedures unique to Wembley MediSpa. Peruse the extensive menu, find the treatment that works for you, book a consultation (a full appraisal of your requirements, refundable against treatments booked), and get ready to shed those years! From the innovative body sculpting solutions (utilising a combination of laser, ultrasound and hydrojet technologies) to the patented 3D Volulift-Lipotighten®, a combination of Dermal Fillers, Tripolar, Chemical Peels and IPL + Laser treatments, the world-class doctors at Wembley have developed a great arsenal to unleash against the unwelcome signs of ageing. Every treatment is customized to meet the exact needs of the patient but the primary goal is always the same: to create long-lasting, natural, beautiful results with no downtime, at affordable rates. D o you feel chronically lethargic and fatigued? Burning the candle at both ends? Jetlagged? Feel like your system needs an “oil and spark plug service”? Book a calming massage of your choice, along with a Wembley MediSpa rejuvenation or detox drip. Doctors complete a blood test to determine your current health status before deciding on the intravenous treatment programme, each formulated around the principles of replenishing your body’s stores of essential nutrients, with hormones like melatonin, fat soluble vitamins, brain boosting electrolytes, and organ (kidneys and liver) supporting agents like omega’s and other potent anti-oxidants. 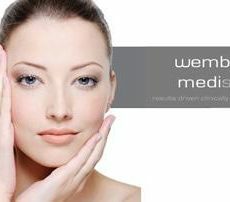 Delivering essential nutrients, vitamins, anti-oxidants and electrolytes directly into the blood stream rather than via the stomach prevents these fragile molecules from being destroyed, and are combined within a maintenance program that offers regular pampering – an essential value at the Wembley MediSpa. In fact, pampering yourself now – be it a 30-minute express facial during your lunch hour, a new-generation all-over tanning solution (exposure to the sun being one of the greatest culprits in premature ageing), or a Chinese anti-cellulite massage – is not an indulgence, but an investment in a younger-looking future you. Welcome to the era of smart ageing.